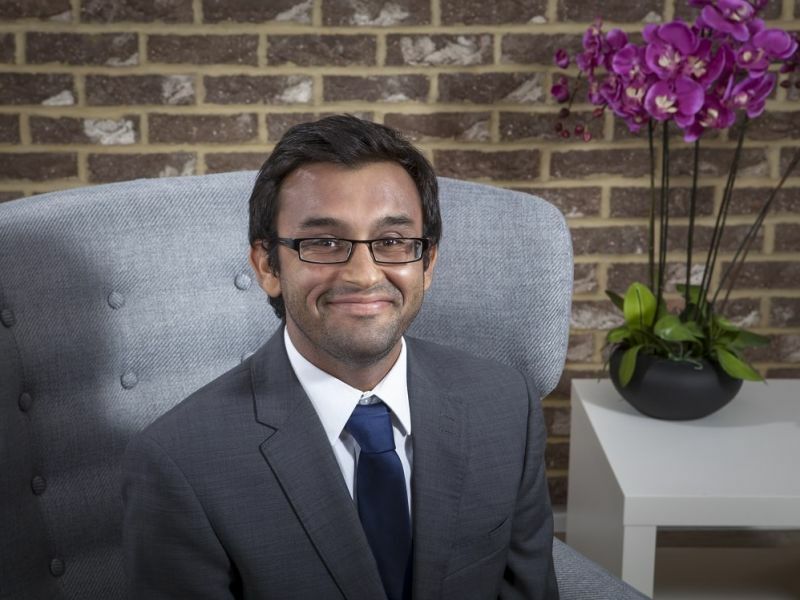 Ashish Shah is a Leightons hearing expert who works primarily in our Marlow, Reading and St Albans branches. These are 7 of the most common misconceptions about hearing loss that he has encountered over the years. MYTH 1: It’s easy to tell if you have a hearing loss. FACT: Many people notice the symptoms of hearing loss before the hearing loss itself. Fatigue: your brain is having to work much harder to establish what people are saying. Lower energy levels: when you have a hearing loss, listening effort is significantly increased. Social isolation: many people will stop enjoying and attending social events because of problems hearing. Mental decline: untreated hearing loss results in less stimulation of the auditory cortex. This accelerates mental decline, resulting in a higher risk of dementia. MYTH 2: If you have a hearing loss, you won’t be able to hear most sounds. FACT: Most people with a hearing loss don’t notice difficulty hearing in all situations. MYTH 3: Hearing aids make your ears lazy. FACT: Hearing aids support your brain. If you have a hearing loss, the earlier you are fitted with hearing aids the better. Untreated hearing loss results in auditory deprivation, where the brain loses the ability to interpret words due to a lack of stimulation over an extended period of time. Hearing aids provide regular stimulation of the auditory cortex, helping to prevent or reverse auditory deprivation. MYTH 4: It’s better to leave wearing hearing aids until your hearing is worse. FACT: Hearing aids reduce deterioration of hearing. If you wear hearing aids, your auditory pathway is able to function more normally. This results in a slower rate of deterioration in your hearing. Therefore the longer you leave it, the quicker your hearing deteriorates and the more auditory deprivation develops. MYTH 5: There is nothing you can do to help tinnitus. FACT: Tinnitus is often a symptom of hearing loss. Therefore, many people find that wearing hearing aids stops them from being aware of their tinnitus. Tinnitus is the sensation of hearing sound for which there is no external source. This is often a ringing, buzzing or hissing noise. Many people with hearing loss experience tinnitus because auditory cortex (the hearing part of your brain) receives less stimulation from your ear. Tinnitus often occurs at the same frequency as the hearing loss. In fact, 90% of tinnitus occurs as a result of hearing loss. Many people find that wearing hearing aids prevents them hearing tinnitus. Even if you haven’t noticed any difficulty hearing, we recommend booking in for a hearing check if you have tinnitus. MYTH 6: Hearing loss only affects older people. FACT: Our hearing changes from a young age. Our hearing becomes less sensitive to high frequency sounds from as early as our twenties. 50% of people have a high frequency hearing loss by the age of 50. This can particularly affect the ability to hear in background noise or group situations. MYTH 7: A hearing assessment is only for people who have concerns about their hearing. FACT: Hearing and ear health should be monitored at regular intervals, whatever your age. Like visiting the dentist, or having regular eye examinations, it is important to have your hearing and ear health monitored to detect any changes. Every hearing test that you have with us is recorded, allowing us to identify and inform you of any changes over time. It is never too early to have your first hearing check. If you have any questions or concerns about your hearing or that of a loved one, or would simply like more information, you can book a free hearing test online, call us on 0800 40 20 20 or visit your nearest branch.